As tensions over construction continue, journalist Jeffrey Goldberg quotes U.S. officials who launched a verbal tirade against PM Netanyahu. Is Washington taking off the gloves when it comes to Israel? Amid the latest tensions in U.S.-Israel relations, journalist Jeffrey Goldberg of The Atlantic on Tuesday quoted unnamed officials in Washington who launched a verbal tirade against Prime Minister Binyamin Netanyahu. “Over the years, Obama administration officials have described Netanyahu to me as recalcitrant, myopic, reactionary, obtuse, blustering, pompous, and ‘Aspergery,’” wrote Goldberg, who is considered close to President Barack Obama. “But I had not previously heard Netanyahu described as a ‘chickens**t.’ I thought I appreciated the implication of this description, but it turns out I didn’t have a full understanding. From time to time, current and former administration officials have described Netanyahu as a national leader who acts as though he is mayor of Jerusalem, which is to say, a no-vision small-timer who worries mainly about pleasing the hardest core of his political constituency,” wrote Goldberg. Another official quoted by Goldberg said that Netanyahu is also a “coward” on the issue of Iran’s nuclear threat. The official said the Obama administration no longer believes that Netanyahu would launch a preemptive strike on Iran’s nuclear facilities in order to keep the regime in Tehran from building an atomic arsenal. “It’s too late for him to do anything. Two, three years ago, this was a possibility. But ultimately he couldn’t bring himself to pull the trigger. It was a combination of our pressure and his own unwillingness to do anything dramatic. Now it’s too late,” the official told Goldberg. “The feeling now is that Bibi’s bluffing [on Iraq],” this second official said. “He’s not Begin at Osirak,” the official added, referring to the successful 1981 Israeli Air Force raid ordered by the ex-prime minister on Iraq’s nuclear reactor. The latest crisis in Israel-U.S. relations revolves around Netanyahu’s giving instructions for the building of about 660 homes in Ramat Shlomo, in northern Jerusalem, and about 400 more in Har Homa, in the capital's southern section. All of the tenders had been slated for construction from as far back as 2010. On Monday night, State Department spokeswoman Jen Psaki responded to the move by saying Washington was "deeply concerned" by the reports and American embassy officials were having high-level talks with Israeli leaders to seek more information. Netanyahu fired back on Tuesday, declaring that Israel would continue to build Jewish homes in Jerusalem. "I heard an argument that the construction of Jewish neighborhoods in Jerusalem distances [the Middle East from] peace," Netanyahu added. "It is this criticism which distances peace." "These statements are detached from reality, they are harboring false statements made by the Palestinians." 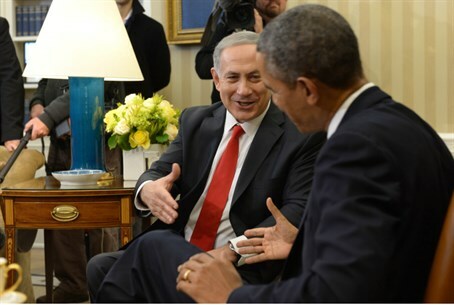 This is not the first time, however, that tensions between Israeli and American officials have publicly surfaced. Just last week, Defense Minister Moshe Ya’alon was snubbed by the Obama administration during a visit to Washington, and was denied meetings with Vice President Joe Biden and Secretary of State John Kerry. This was likely done due to Ya’alon’s comments from several months ago, when he was quoted as having described Kerry as "obsessive and messianic." In a more recent incident, Kerry blamed Israel for the rise in global jihadism, insisting that Israel "humiliated" the Palestinian Arabs and that it has led to a "loss of dignity," leading to a recruitment draw toward ISIS. "We don't justify terror; we fight terror," he added. "The Israeli-Palestinian conflict statement encourages ISIS, and is a boost to terrorism worldwide." White House press secretary Josh Earnest later responded by saying that Netanyahu’s criticism of America for its concern over Israel's construction in Jerusalem was “odd”.